The time for the reading cannot be guaranteed, due to the number of requests. If you find a link that is incorrect or not working, please let us know by emailing us at info@athenalctr.com. Likewise, if you would like to exchange links with us, you may email us at the same address. Click here to enjoy Young Living Essential Oils and Essential Oil based products. A must for the millennium. LightQuest International: An inter-dimensional portal which receives and transmits energy and information from the many dimensions of Earth and beyond. With 10 years of classical training and over a decade of playing piano and keyboards professionally, in 1993 Paul discovered he had the ability to open himself to allow beautiful, spontaneously composed, original music to flow through him. This experience gradually evolved into using his music as a powerful tool for healing and invocation. Light Ascension - Homeward Journey of the Light Force. Sandy Stevenson's website - help with personal and planetary Ascension. Personal Reflections of Japan - The Land of the New Dawn. The Japan Journey of 2009 captured by our very talented spiritual traveler - Attila Vaas. This inspiring book will fill you with the essence that is Japan - a truly magnificent and beautiful country! Come one and all, and leisurely peruse through this wonderful book - you will enjoy what you see! Annual Wesak Festival in Mount Shasta, California. The site of Akasha Mystery School and Craig Russell in British Columbia, Canada. Take advantage of professional coaching and counseling sessions from the comfort and convenience of your home or office. We can help you figure out the very next steps you can take to move forward in your life. An alliance of professionals supporting early parenting and teaching how sensitive, aware, and communicative babies are in the womb. Children of Light is an institute of self-mastery, dedicated to informing and educating individuals about the personal and planetary Ascension that we are now experiencing. In short, we are interested in revealing a path of personal healing that will allow us all to awaken to the consciousness of our souls for the first time in the planet's history! Dr. Louis Turi's Nostradamus Divine Astrology, free predictions, daily horoscope, free newsletter and Hypnotherapy. Earth Star Publications, home of The Star Beacon monthly metaphysical newsletter. Dr. Fuqua's site is devoted to her discovery of Athor, a Soul Exchange, a member of the Council of Twelve on Sirius. The purpose of developing Galactic Friends is to offer a venue to showcase the uplifting messages from our collective space families and spiritual hierarchy. Grace esoteric training center provides information, stimulus, and inspiration to assist world servers to grow on the part of initiation and expand their service to the Plan for Earth. Free newsletter. High-tech intertwines with the 'new age' on HaikuHelen's cyber grapevine. Brigitte provides extraordinary bodywork, always using the music of Paul Armitage (available on this website) at the same time. Also showing some of Brigitte's artwork. Resources, services and artwork inspired by the higher frequencies of the Fifth Dimension. Intuitive counseling readings by phone or in person. 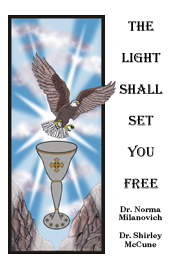 Practical compassionate guidance, wisdom, and insights to help you with your life's decisions and directions. Intuitive Development Kit and other unique and helpful products. Homesite of 'The Book of Life.' Everything you need to know to understand the ascension, the unfolding of the new age, and your divine role in it. Pintki does weddings, house blessings, baby namings, memorials, funerals hospital visits, hospice visits, spiritual counseling, and energy healing work. Sacred Connections provides information on Scotland's hidden past, Celtic history, sacred mysteries, earth energies, new awareness (spiritual, health, economics). Sacred Connections also has an educational focus on spiritual and holistic studies providing seminar/workshops, talks, and guided tours to sacred sites in Highland Perthshire. 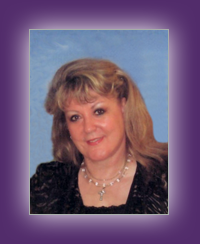 Shirley Rose's website has books, tapes, and CDs on metaphysical subjects, Kabalah, all aspects of human experience and how to focus on leading us to higher levels of consciousness. Some of these tapes and CDs offer activations that transform the current physical body into higher vibrational levels to open channels to inner experiences and some explain the purpose of the Physical Body to Transform Chaos into Order. Dedicated to personal empowerment, consciousness expansion, and becoming all that you can be. Offering Lightwork with Susheela in Perth, Australia. Synergia Ranch is a veritable oasis in the desert providing a reasonably priced Retreat Center venue. The 360 degree vistas are stunning and the ambience is serene. Synergia Ranch is located 20 minutes from the center of historic Santa Fe and 55 minutes from the Albuquerque Airport. The Website of Ann Rothan and her amazing artwork - vibrant, beautiful, and serene. The Spiritual Path involves discipline, focus, love, compassion, responsibility, and much joy, all achieved by acquiring a Higher Consciousness. Always remember that the kingdom within the mind, can never be surrendered.